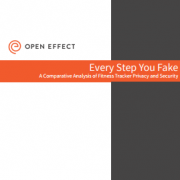 Our work explains why personal information matters. Today, Andrew Hilts spoke at an OCAD University conference to discuss two Open Effect projects. The talk was part of DEEP ’15: Designing Enabling Economies and Policies, hosted by the Inclusive Design Research Centre. 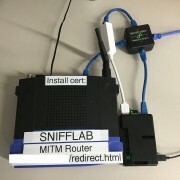 A look at how our Snifflab test environment works to collect packets and man-in-the-middle HTTPS communications for easy security research.